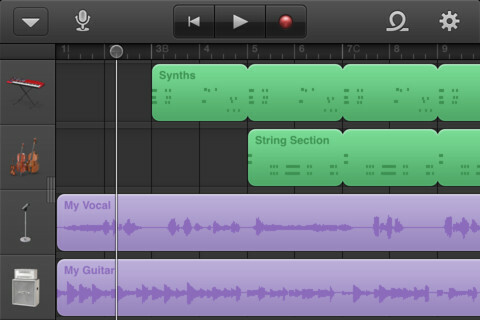 Apple today released GarageBand 1.1, an update that adds Universal support – bringing GarageBand to the iPhone and iPod touch. GarageBand has become one of the most popular platforms for audio podcasting and support for the full line of iOS devices will be welcome for many podcasters. The $5 app now makes your iPhone or iPod touch into a powerful 8-track podcasting workstation. With a decent mic, there’s no reason you couldn’t make complete podcasts with it. But most users will probably use GarageBand on the iPhone as a portable audio recorder, sync to GarageBand on the desktop and then edit there. Missing in action is iCloud support, which would be a killer feature for podcasters. Let’s hope that iCloud syncing shows up in version 1.2!